Christopher Moore, associate professor and chair of anthropology, published a public archaeology booklet on the department’s archaeological research at the Baum’s Landing site. 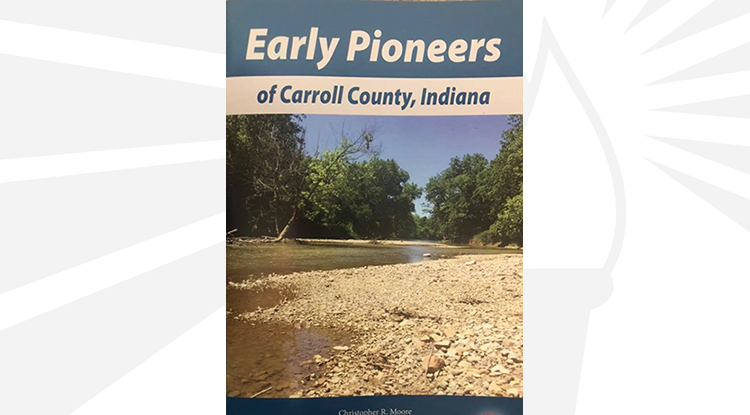 The publication, “Early Pioneers of Carroll County, Indiana,” was funded through a matching grant from Indiana Humanities. “This booklet introduces readers to the interdisciplinary science of archaeology and to our investigations at the Baum’s Landing site (12C700) in Carroll County. The booklet focuses on the questions we asked and the methods we used to discover the location of the early to mid-19th century Daniel and Ascenith Baum homestead,” Moore explained. The full-color illustrated booklet was funded by two generous donors, funds raised by the 2016 UIndy Archaeology Camp, as well as the matching grant from Indiana Humanities. The booklet was printed by QGraphics, Inc. of Delphi, Indiana. Copies are available at the Wabash & Erie Canal Society and the Carroll County Historical Society in Delphi. If you live outside Carroll County and would like a copy, contact Christopher Moore.